An agile coach, management consultant, software architect, and developer, Christian teaches and consults on issues of software development process and practice, both deep in and high above the coding level. A former Sun contractor and Deloitte consultant, his background has given him a focus on service and value that works quite well with his lean and agile philosophies. He maintains his own blog at http://www.israfil.net/blog/geekinasuit/ and works with Berteig Consulting as an affilliate consultant through his own consulting firm, Israfil Consulting Services Corporation. Stonecutters, Paycheck Earners, or Cathedral Builders? All credit for this is due to Mary Poppendieck as this is entirely cribbed from her Agile2007 talk on agile leadership. Complain? He is probably a stonecutter. Ignore it? He is probably a paycheque earner. Fix it? He is a cathedral builder. Cathedral builders are absolutely critical to a healthy organization. They push the organization towards a vision, often propagating the high-level vision throughout all levels of the organization. Unfortunately, these are also people who annoy the stonecutters and paycheque earners, because they won’t participate in the complaints, and they agitate for changes which make it hard to ignore things and just “do the job.” But your success will rely on them… find them, shelter them, and grow them. And whatever you do, don’t “promote” them into positions where they aren’t effective. Empower them, and if you need to add salary and title that’s fine, but let them find their own area of maximal contribution. Guaranteed you, Mr. business owner, aren’t smart enough to see what that is. Organizations that fail to see this remain mediocre or failing organizations. Organizations that find ways of harnessing their workforce and coaxing people into the next level of engagement, succeed. The developer has a concept he needs to translate into software. He (or she) does not sit and meditate until it comes to him, then streams it effortlessly into the computer. Rather he tries something, and tries something else, and writes some conditions (tests) to limit the scope of his options, and cycles over and over and over again between four main activities: creating -> building -> executing tests -> discovering. The developer then wraps around, having discovered and learned (found the bug or identified a future direction) and begins to create again. If you break this down, there are two states – active and waiting – that the developer is in at any point. He is active when he is learning and he is active when he is creating. He is waiting when he is building and executing tests. So the developer’s ability to do further learning/creative work comes from how long he has to wait for building/executing the software. Why Should Business-People Care About Continuous Integration? Continuous integration, and for that matter, TDD, FDD, and other Agile practices and methods can be obscure to someone who hasn’t run across them before. Since some Agile approaches really relate to engineers more directly than to their managers and executives, I have been asked why business-people should care about some of them? The question might be examined from the other side – how do things that are important to the business side relate to things happening on the technology side. Put yet another way, is the whole organization in-sync and harmonious, or is the left hand interfering with the right. Finding consistency of vision and values across disciplines within an organization can be very difficult, but there are good examples of business’ values being reflected in engineering practices. Continuous integration is a software engineering practice that is quite similar. When combined with test-driven development, it forms a kind of Toyota-style production line scenario. Continuous integration basically means that all changes to the software are integrated with the rest of the software as soon as the developer submits the change to the central repository. At that point, or at very near intervals, the whole system is run through unit and integration tests to see that it is still healthy. If a defect arises, either through a mistaken submission, or the submission of something that breaks something else, the system alerts the developer, and possibly relevant management. The system “goes red”, as the jargon goes, and the developer rapidly fixes whatever is out-of-sync. This is quite analogous to Toyota’s “stop the production-line” approach to quality management. Assigning power so close to the ground can be frightening to both executives and technical employees alike. This is understandable. People used to controlling everything often find it hard to delegate to the “shop floor”, and people who are used to possessing little power are often afraid to wield it once it is granted. Both the arenas of technology and business, however, have established, through volumes of evidence, that defects caught early can be orders of magnitude cheaper to fix. Toyota leapt ahead in its reputation of quality very soon after implementing such a system. Businesses that use Kaizen or other related approaches to quality management and process evaluation on the business side can see these principles at work in their software development organizations. As with most good things – simple principles, broadly applied to specific disciplines, work to the overall benefit of the organization. They provide confidence and common vision and value across disparate specialties. Business stakeholders who make these high-level decisions can then have increased confidence that what they’re defining, marketing, and selling won’t fail them in execution in the customers’ hands. Ron Jeffries recently posted something to the scrum developers list, where he made reference to his article on Big Visible Charts. 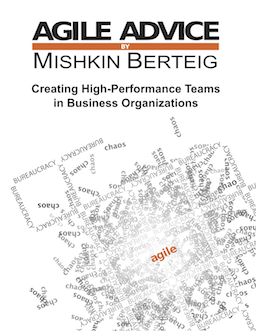 It’s a good article, and looks at a variety of presentations of metrics in an agile project. It took me back to Edward Tufte‘s Envisioning Information . (His other good books on the subject include Visual Explanations: Images and Quantities, Evidence and Narrative and The Visual Display of Quantitative Information ). It’s often very hard for agile workers to communicate status to people without too much reliance on “inside” jargon. Some of these principles and presentation mechanisms are quite helpful. Also of note is Marty Andrew’s site, also on Big Visible Charts which contains many other and useful presentation approaches. As practitioners and advocates of agile approaches, or as people considering the use of agile, the presentation of real status of an effort is crucial. The more of, and the more creative solutions that we can use to present this, the better we can communicate the real business value that the stakeholders are receiving.